This class is for 3-4 year olds. 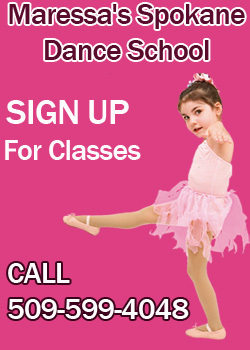 It is a fun activity based class that is intended to get kids ready for ballet class. 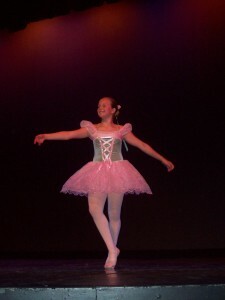 It teaches them the beginning ballet concepts through enjoyable games and make- believe activities. This class is for 5-6 year olds. This is a beginning level of ballet. It will teach kids the structure of a ballet class, and the basic techniques of ballet. It is a great class to get your child started in a fun activity that keeps them active. This class is for 7-8 year olds. It is a beginning ballet class, which teaches the basic fundamentals of ballet. It is fun and exciting for kids. This class is two days per week, for 9-12 year olds. It is an intermediate level ballet class. They learn new steps, and correct terminology, as well as how to properly use their muscles. This is an advanced ballet class. Pointe work is optional. Students are expected to know most terms and steps, as this class will be focusing on improving dancing skills. It is a fast pace class. This class is for teens 13 and up, and adults, who have little or no experience dancing. It is a great way to get in shape, and have fun learning to dance. Maressa’s Dance School welcomes children with special needs. The classes are kept small in order to provide any extra attention a student may need, and to ensure that each student receives the individual attention they deserve.